I’ve brought the FT-857D with me and got that set up in a spare room with the intention of getting on 2m. 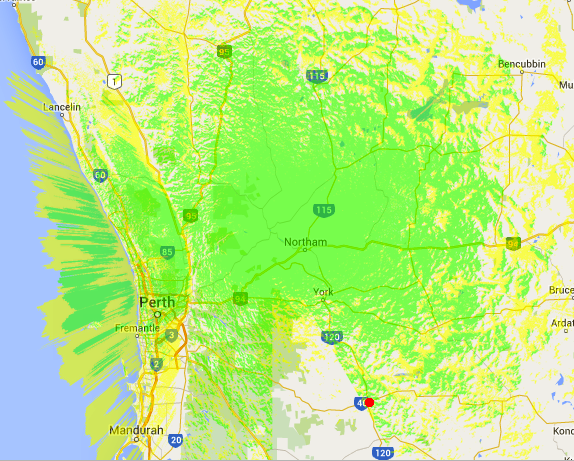 I was so impressed with the coverage of VK6RAV when I was up in the northern wheat belt, I thought I might get into that here, about 100 east of Perth. I had the WARG pogostick up on the TV antenna post for a couple of weeks, and swapped it yesterday for a Diamond X-50 dual bander. With both of these, and my legal 30W I can trigger VK6RAV but it’s far to scratchy to use. The Diamond is noticeably better, but not enough to make it usable. I’m about the same distance to the main Perth repeaters at Roleystone (VK6RAP & VK6RLM) and can’t key either of them up, which just goes to show what a great job the WARG guys have done with VK6RAV. Even though it hasn’t brought me much joy, I’ve left the X-50 up there and currently have the FT-857D scanning through the 2m and 70cm simplex call channels as well as the local railway comms repeater. 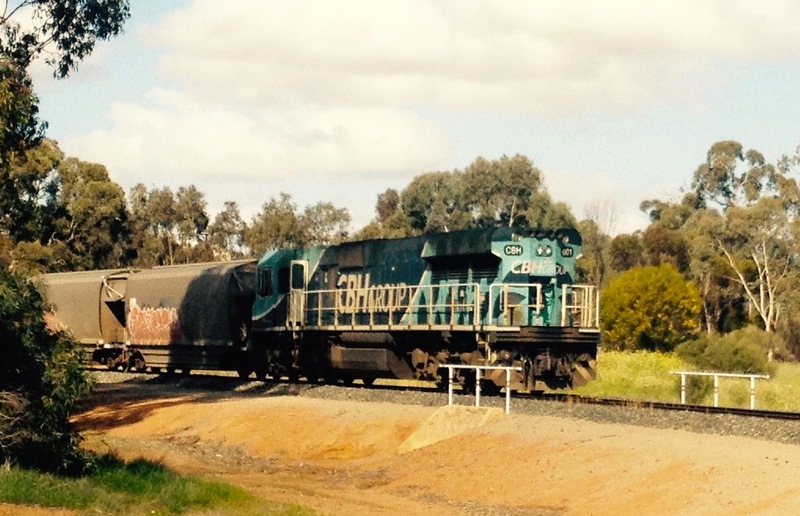 The train tracks are about 200m from my bedroom window and the level crossing in the middle of town is not much further. It’s sort of fun to hear the locomotive drivers getting instructions to pull into the loop to let another train through on the radio then hearing the rattle as they back out past the points and into the loop. Apart from that, my radio time at the moment is mostly just listening to podcasts and news on headphones while I’m catching up on housework. This podcast is a long running one with very regular updates and is put together by father and son team Martin and Colin Butler from the UK. Colin is a newish amateur but Martin is an old hand and a PMR radio technician so they have a great breadth of experience. Additionally Martin is an instructor so he has a natural tendency to explain things well. They have a fair bit of personality in their podcast, so that might suit you or not, I find it quite nice, especially the earlier episodes where they do the podcast together. They cover all sorts of topics related to radio, including a feature in each episode. As well as trawling through the news, they also comment on it, which often leads to interesting comments. Solder Smoke is produced by American Bill Meara and currently co-hosted by Pete Juliano. 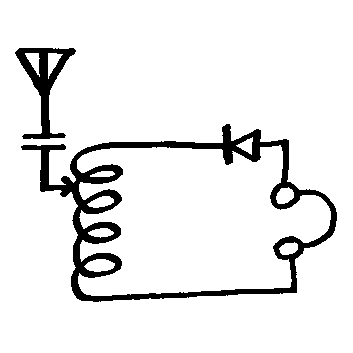 As you can probably guess from the name it has a home-brew flavour with many interesting discussions about the travails the hosts encounter in their shacks as they design and build radios and radio related equipment. I’m not a big home brewer – too time consuming for me at the moment – but I am getting a better technical understanding of things from listening to this. Bill is a very personable fellow and has had an interesting past. My other good source of what’s happening, particularly more locally, are the WIA weekly broadcast and the Newswest Broadcast. The Wireless Institute of Australia (WIA) is the national body representing Australian Amateurs. They produce a weekly broadcast that covers the activities of the WIA as well as news of general interest to radio enthusiasts. 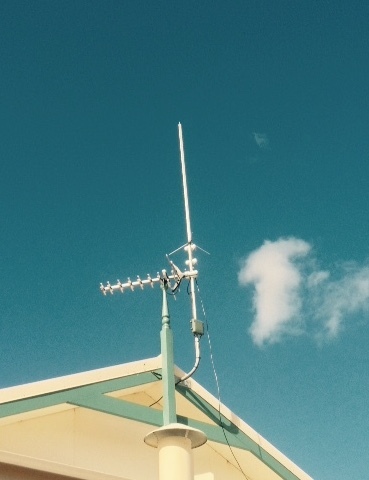 It’s broadcast on Sundays on a number of frequencies including the main 2m repeater in Perth. Once I’ve got an 80m receiving setup I’ll probably listen to it that way, but for the moment I’m stuck downloading it from the WIA website. A new ‘club’ in WA is Newswest. This group of amateurs provide a great service to local amateurs by producing a local ham radio news (as well as some other great stuff). All the re-broadcasters of the main WIA news in WA transmit the Newswest version directly after it. Although it’s quite professionally produced, it has a lovely local vibe with stories from the WA clubs and personalities. So keeping in touch is easy and enjoyable, but I’m hankering to get back to playing! Posted on September 5, 2015 by I Bailey. This entry was tagged antennas, FT-857D, podcast, X-50. Bookmark the permalink.